Experience the oldest marathon in Western Europe! Oldest marathon of the Netherlands! The Enschede Marathon is the oldest marathon of The Netherlands and Western Europe. At the first edition, in July 1947, 51 runners participated in the running competition. Today, almost 11.000 participants participate and the number is growing every year. The course is known as very fast and Enschede is therefore in the top 5 of Dutch marathons together with Rotterdam, Amsterdam and Eindhoven. Along the course, some 82.000 loyal spectators are encouraging the runners every year. Traditionally, around 950 enthusiastic and involved volunteers are helping to make the day a success. Through their years of experience (some more than 30 years! 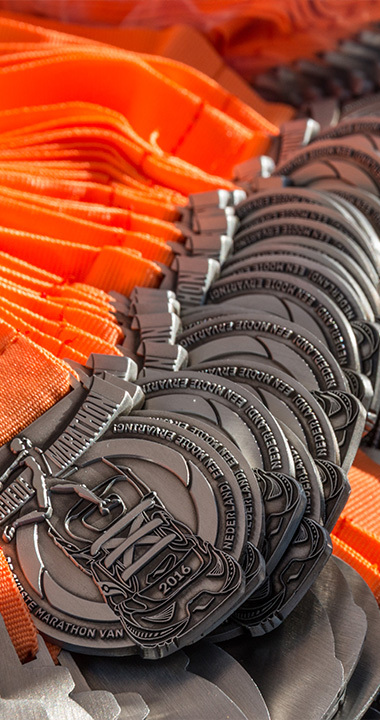 ), the volunteers of the Enschede Marathon are contributing significantly to putting together a highly successful event. 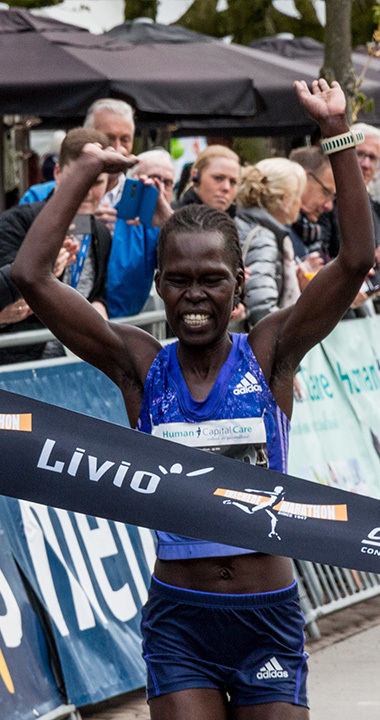 Since 2015, the Enschede Marathon has given more attention to top female athletes and focuses on strong women. 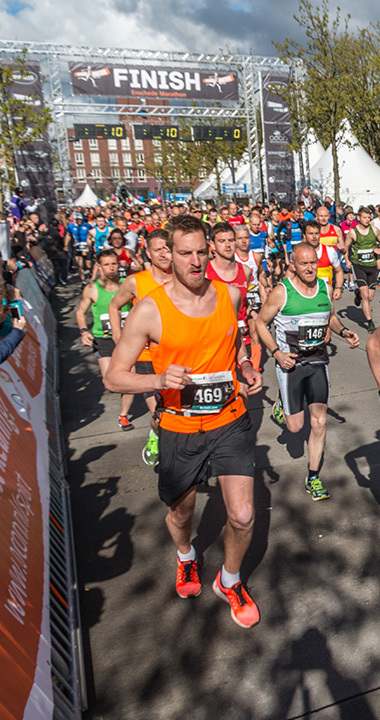 In this way, the Enschede Marathon distinguishes itself in the major international offer of competitions. The organisation commits almost the entire prize money for a strong female participant field. With women who have run a time of 2.25-2.30 hours and men finishing at 2.20, a more compact leading group has emerged and therefore an exciting battle for the final victory. The first woman participated in the Enschede Marathon in 1981. This was the American Jane Wipf and she finished in 2:38.21. 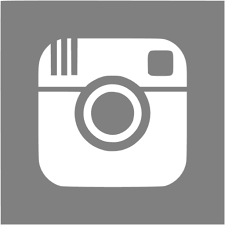 The Twentse Vrouwenloop is a special running event aimed entirely at women. The event was created in 2010, as the Enschede Marathon endeavoured to get more women running. Meanwhile, it fits in beautiful with the focus on women during the Enschede Marathon. In August 1946, during the European Championships at the IAAF Congress, it was decided that an athletics competition between the Netherlands and Czechoslovakia would take place in Enschede. In preparation for the competition, the delegations from both countries meet. At the Czechoslovakian delegation, Ir. 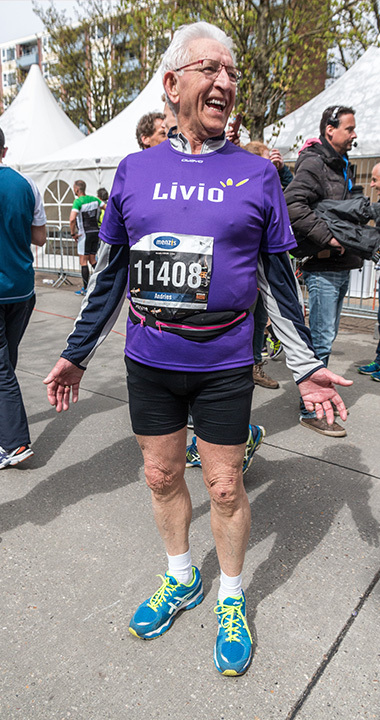 Bukovsky, also the organiser of the Kosice marathon, has an important role. It was decided to also run a marathon during this Nations competition. Eventually, the competition takes place on Saturday, July 12, 1947 with 51 marathon runners participating. Of them 33 are able to reach the finish in the G.J. van Heekpark. The Fin Eero Riikonen is the winner in a time of 2:44.13 and at the finish line he greets Fanny Blankers-Koen. The Fin finishes nine minutes before the first Dutchman Joop Overdijk, who becomes Dutch Champion and takes fifth place. The competition is a big success; it is believed that this cannot be a one-time event, and so the oldest marathon of the Netherlands is born. From 1947 the marathon takes place every two years. From 1991 this cycle will be accelerated to an annual period. In 1992, once Apartheid was ended, the South African sports boycott ceased and Willie Mtolo was able to compete internationally. In his first year of competition abroad, his first marathon was the Enschede Marathon, which he won. In the same year he also won the New York City Marathon. In 2000 the competition was cancelled due to the Vuurwerkramp (Firework disaster) that occurred on May 13, 2000 in the residential area of Roombeek.